After Android’s revolution, mobile apps are exploding. Now, in the Android market, over one million apps are available. Over 46 percent of people in the United States have now access to a smartphone. 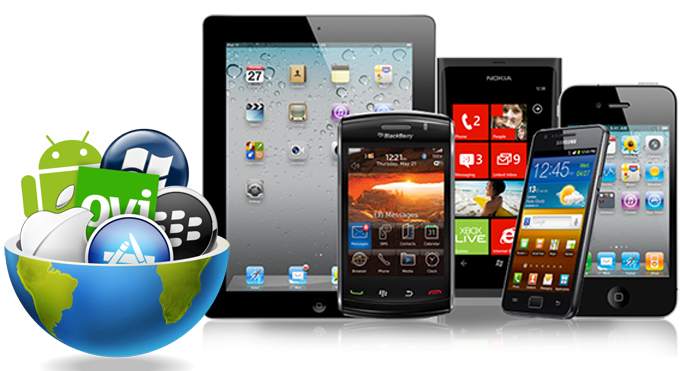 Apple iPhone, iPad and iPod Touch continues to be the most popular handset in the smartphone and tablet devices world. More statistics can be astounding. For instance, Google services have been downloaded over a billion times in the Play store. Facebook has nearly 500 million downloads. It simply goes without saying how advanced and extensive today’s mobile app industry is. The underpinnings of development of mobile software are so intriguing as well as intricate. Let’s analyze some things to consider when it comes to mobile app development. Following top five mobile software application development tips and guide is useful for Android, iOS and Windows Phone app developers. You know that there is a whole industry based around mobile apps and testing them. Most of the mobile apps are developed in a form known as agile development. In this process, software code is churned out like fast food—quickly and in collaboration with several teams. Also, with such development methodologies as SCRUM and V-model, coding is fast today. How fast should the quality assurance be? Of course as fast as coding itself. This is the reason why testing teams work hand in hand with the software development teams. Today, testing is no longer a separate process. A software tester should also be a developer, with proper management skills and knowledge of the requirements. Automation of this testing process is another novel idea that can reduce testing times. There are several test automation tools in the market such as Mobitaz that you can use for the purpose. Automation, it seems, can reduce testing time by a factor of 60 percent or more. Analyze the sort of application you are creating and the sort of testing needed for it. The cost of the automation suite and expenses for its maintenance. Time required for the testing team to learn the automation tool: the tool should be easy to use with simple interface. The automation coverage: the tool should be able to automate a number of features within the mobile app. Performance of the automation suite should be appreciable. When it comes to iOS development for iPhone, you need to consider only one resolution and that is the Retina resolution. You only have to consider one product or may be three: iPhone, iPad, and iPad Mini (depending on the market you are going for). However, when it comes to Android, you have to consider a huge number of phones and a huge number of different hardware configurations: different versions of the operating system, different display resolutions, display technologies, different processors and GPUs, etc. It’s not at all possible to develop an app for all kinds of Android devices. You are sure going to miss one or two in the process. This is the reason why you should identify the devices on which your app will be used the most. You may have to come up with a demographic in which your app will be popular. Samsung, HTC, or Sony? Which one are you going to concentrate? You should identify that. Also, there is the Nexus line you don’t want to miss. Once you identify the best hardware configuration that your app will work on, it becomes extremely easy for you to develop and test the app. The design of the mobile app is guided by a number of factors. One of them is that your app should follow the design standards as stipulated by the Android market or iPhone App Store market. The design has to be intuitive and easy to use. When designing your apps, think about your customers who will be using the app. Imagine some apps that come with intuitive interface and get inspired. For instance, the top apps in Android market include a cleaning program known as CleanMaster. Also look at social media apps like Facebook and Instagram. These are some of the best designs available in the Play store. Another important thing to consider when it comes to design is the usability vs. functionality of the app. Design based on real-world objects is known as Skeumorphic. In such design, however, the functionality may not be up to the mark. A design approach should be adopted in which the functionality of the app is there with an intuitive design. Android is a mobile platform, which means your app should be capable of all sorts of connectivity. In the future, technologies such as NFC are going to be very important. Due to this reason, your app should be future-proof. One area in which connected apps can be useful is in automotive embedded systems. Systems such as BMW M Power are utilizing the best technologies in telecommunications. Make sure your app provides all the necessary connectivity features. In the Android market as well as the App Store, you have over a million apps. A huge number of these apps are highly useful to us. In any specific area, you can find as many apps as you want. What happens when you are developing an app? You also have to make sure that the app is unique and comes with an intuitive unique interface. You cannot simply make a copy of an existing app and add some extra features. As you can see, developing an app for a mobile platform is not as easy as you might think. Many a factor should be considered. In essence, you should have an idea or a vision of what your app should be about. You should take it up as an aim and build one that you love.